Wholesale Processed Vegetable Suppliers, Spuds R Us (also known as Mums Chips Co), is a family owned and operated business, originally founded in 1972 by the Gammaldi family patriarch, a well respected potato merchant at the VIC Market in Melbourne. 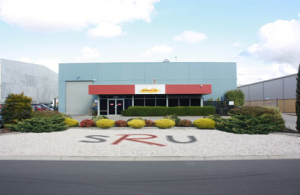 Initially the business traded from a small facility in Springvale, Melbourne and predominantly supplied the hospitality industry with pre-cooked chips. As the business grew his children Rino, Maryann and Antonietta helped out and the family took a strategic decision to change their core business of supplying chips and invested in a purpose built manufacturing facility in Dandenong South, in Melbourne’s Eastern suburban fringe. Today Spuds R Us is recognised as one of the largest processors of potatoes in the industry and provides pre-prepared vegetables throughout the Australian eastern seaboard. The plant is as impressive as it is spotlessly clean, with temperature controlled processing rooms and extended coolroom storage. The manufacturing process utilises using leading edge equipment to facilitate just-in-time preparation and maintain hygiene and food processing standards. 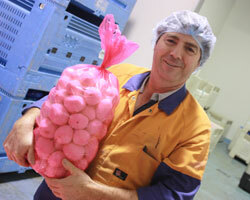 Spuds R Us is the preferred wholesale suppliers to several major national distributors and food processors in Australia. From there the pre-prepared vegetable products end up being cooked and served in a variety of ways at hundreds of catering establishments across the region. Orders under 500kgs are available at from preferred suppliers at the Melbourne, Sydney and Brisbane wholesale fruit and vegetable markets. Products are packed into 10 kilo bags to facilitate handling and storage.